The most successful business today are businesses that provide awesome customer services. For your business to excel you must make customer service your number objective. To grow your business, you must have returning customers. In order to achieve good customer services and relation you should learn to do things in an innovative way. On of such the most innovative ways to relate with your customers is on the internet, because this is one of the best ways to engage with them. Videos can be very helpful in communicating with customers, need I tell you video is one of the most engaging ways to interact online? Yes it is! According to a research, 80% of traffic will be driven by video by 2019. If you’re stuck on how to integrate video into your business today, here are five fast ways to do that. There is no way your customers won't have a issues regarding how your product works or how to go about using your product, and you wouldn't want to start replying hundreds of mails every now and then. The best thing to do is create an how-to video guide that shows customers how to go about the services or products you offer. Trust me, with this, you are such of more customer engagement. It is very necessary you go through the most frequently asked questions from your customers and create a short video clip to address these questions, to do this, go to your previous customer supports queries from customers. With this video, you are reducing the number of FAQ mails you would have received by almost 50%. You need this most especially when you render expensive services or sell highly priced products because your customers would want very quick response to any questions they have regarding the product before they purchase. This is easier than ever today, as live video chat solutions have made it simple for you to connect to your customers quickly, and video chat companies like Agora.io have simple video and audio chat solutions that can be added to an existing website or application with as little as four lines of code. A video chat solution like Agora.io allows you to quickly get in touch with customers and solve their problem in the same manner that you would if you were sitting right next to them. This is a very good way to create an interactive forum with your customers online if they have any questions regarding your business. Webinars avail you the chance to answer questions from your customers via video. 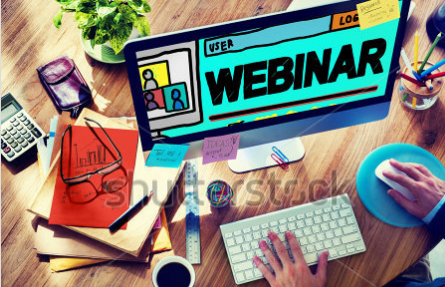 Most businesses use webinars to organise training and seminars for new customers. Conclusively, in order to get more customer engagement you have to connect with them via videos. This will not only make life easier for you, it will get your customers coming back.